The Micra 565mm ceramic basin and pedestal is ideal for the smaller bathroom, cloakroom or en-suite thanks to its compact design. Manufactured from high grade ceramic and finished in gloss white. 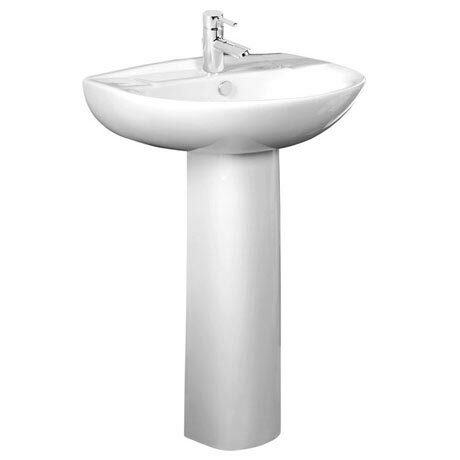 The basin comes paired with a pedestal and is available in a 1 or 2 tap hole option and features an integrated overflow.